The Oakley Stringer delivers a clean & simple rounded styled men's fashion & lifestyle, with all the bells & whistles behind the scenes. The rounded men's sunglass has long been a favourite with the classically styled man. Something simple that delivers a statement without the need to shout and scream about it. 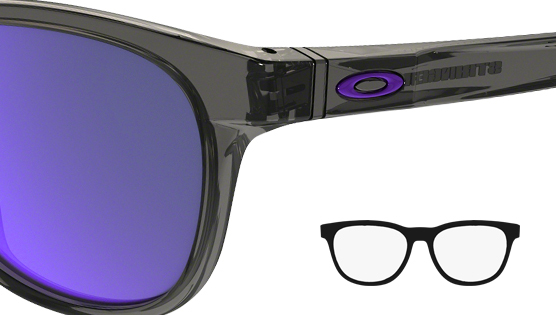 Oakley's Stringer sunglass fits that mold perfectly, providing a subtle look that doesn't miss out on all their legendary technology attributes. A lightweight durable and all day comfortable O-Matter frame material is at the heart. Pure plutonite lenses provide optical brilliance to rival no others and compounded by their own High Definition Optics. Tested to meet and exceed ANZI standards, the impact & optical levels are customary with this brand. Go do your daily 'thing' but go in style with the Oakley Stringer.